Roller doors are available in Single Skin or Insulated. These are the ideal solution to save space in your garage while improving the image of your home. We have these available in a full range of colours including Golden Oak, Rosewood, Conker Brown, Anthracite Grey and more. 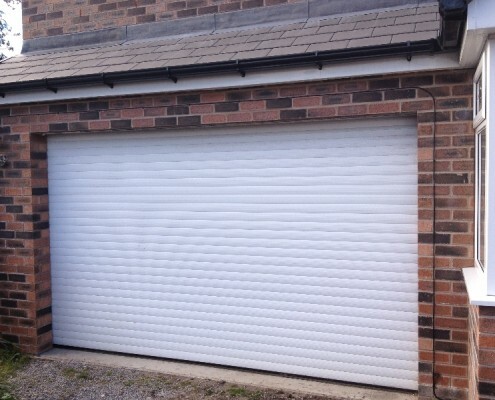 Insulated Roller Garage Doors come automatic as standard. These can also be supplied in manual. Single Skin Roller Doors come manual as standard with the option of adding an Electric Operator. Get in touch if you feel roller doors are right for you or if you would like to arrange a free site survey. Fill in your details below for a free quotation for a Roller Garage Door.